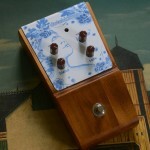 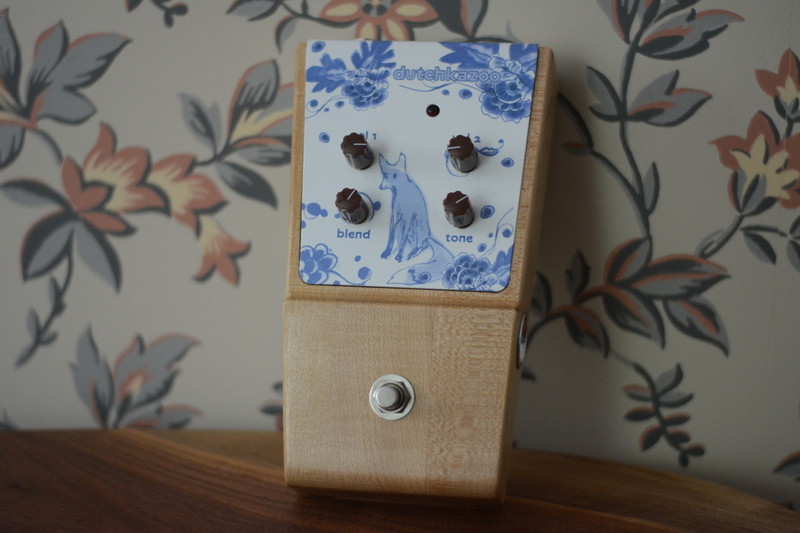 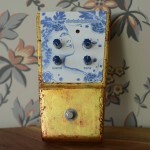 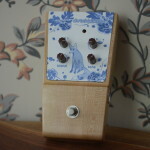 The Dutch Kazoo is a new fuzz with a unique original all-analog design — not a clone. 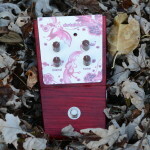 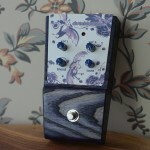 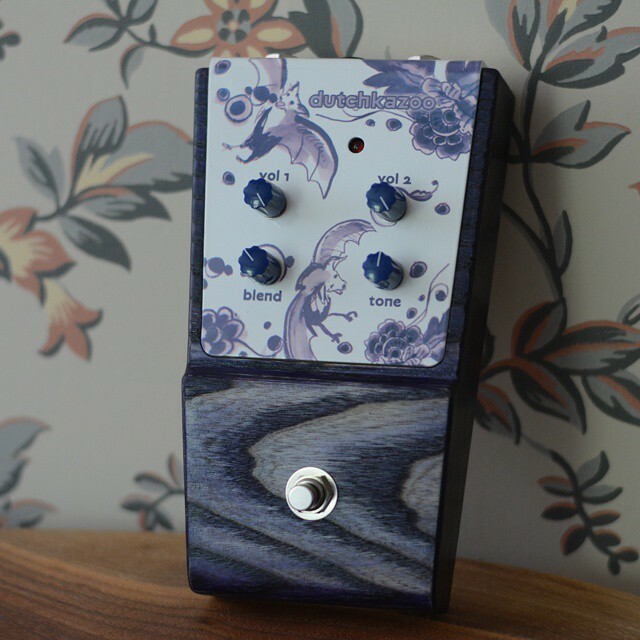 Its two-stage overdrive interacts with a blendable kazoo filter and tone control to present a palette of tones from slight overdrive to heavily saturated psychedelic fuzz to metallic noise. 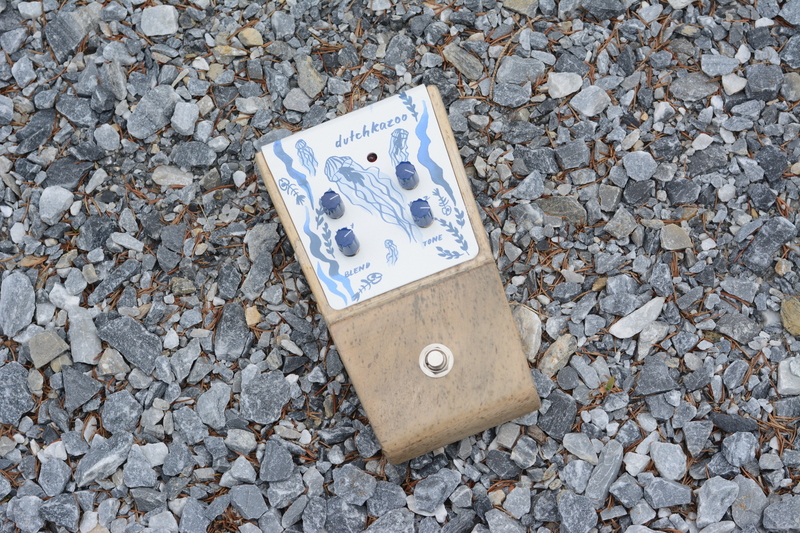 True bypass switching maintains the integrity of the guitar signal with the fuzz switched off. The innovative fuzz circuit was designed by high-flying hi-fi guru JC Morrison. 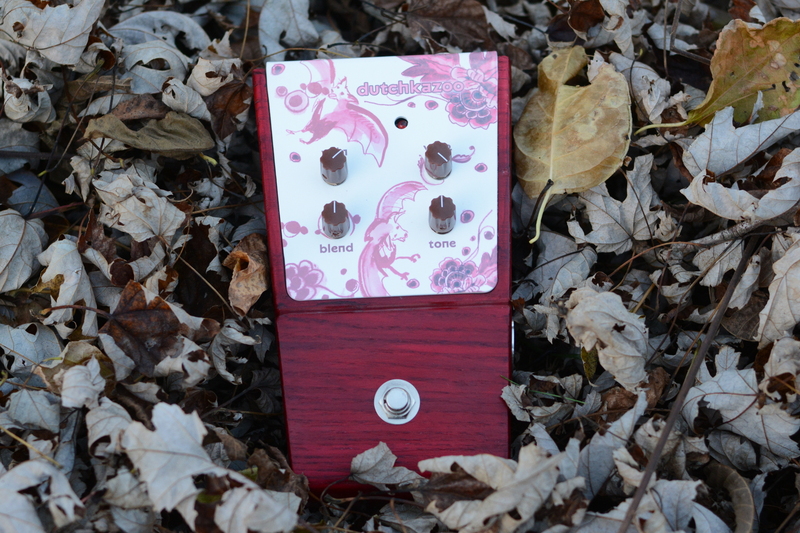 Available in 5 different graphic designs. 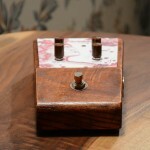 Optional expression pedal jack for blend control – $15 extra. 10k expression pedal, such as Roland EV-5 required (not included). 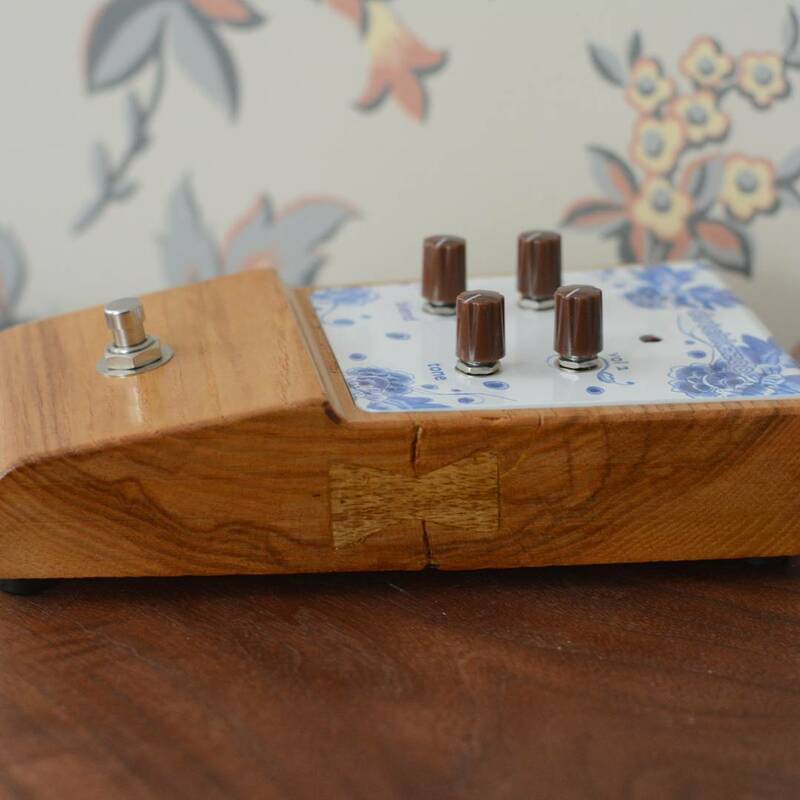 Pedal with expression pedal jack is not battery operated. 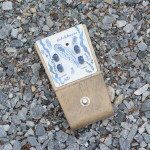 Dimensions: 8-1/8″ long by 4-3/4″ wide by 2″ for the highest portion of the wooden body. With knobs included, the height is 2-1/2″.